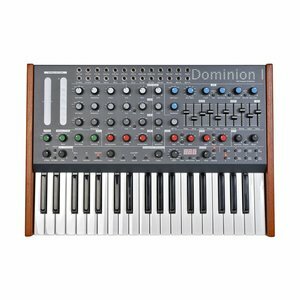 Dominion 1 is the next generation of the Dominion series. Like the Dominion X it combines the advantages of analog synthesis, modular patching and programmability. 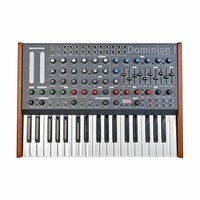 Dominion 1 is the next generation of the Dominion series. 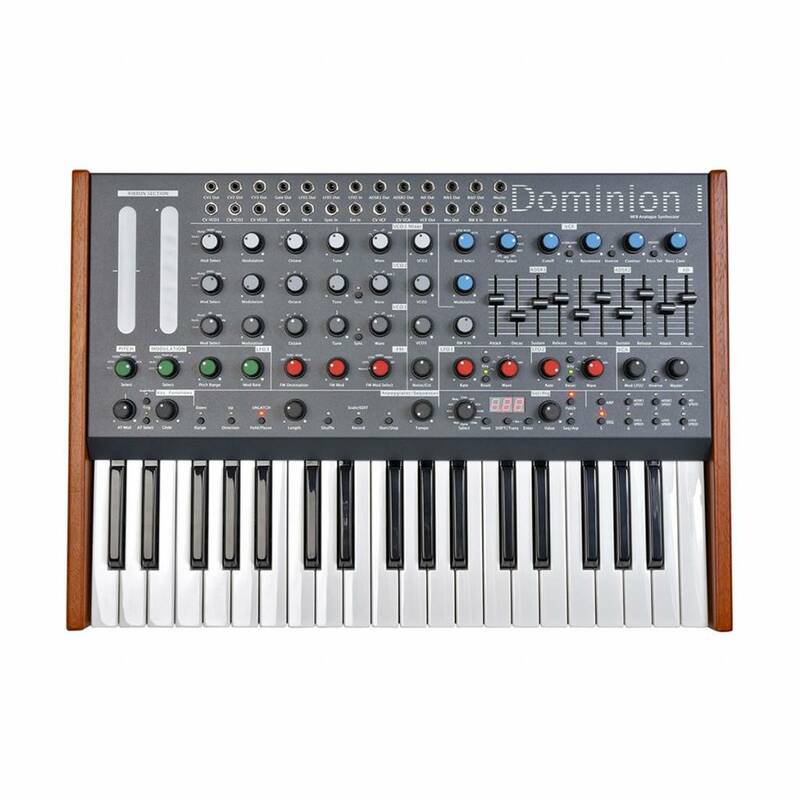 Like the Dominion X it combines the advantages of analog synthesis, modular patching and programmability. Alongside new functions, design and hardware it's a serious alternative to existing keyboard synthesizers. 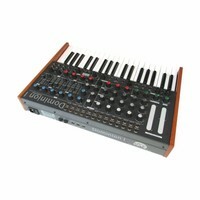 It offers three oscillators for maximum flexibility and let it play paraphonic as well. Each waveform can be varied in symmetry. Besides altering the pulse width of a rectangle, you may also continuously turn a saw tooth into a triangle and a triangle into a sine. All oscillators also offer ring modulation, one of them is an analogue circuit! In addition, VCO 2 and VCO 3 can be synced to VCO1. Finally, VCO3 can modulate the frequency of VCO 1 and VCO 2 and is dynamical controlled by LFO or AD Envelope. The analogue oscillator circuit is processor-controlled for stable tuning. To complete the available sound sources, noise or an external audio input can be added to the VCOs in DOMINION 1's mixer section. The redesigned SED Filter offers now 12 variations like four Lowpasses, two Highpasses, two Bandpasses and two Notches.